Whenever I re-create one of my favorite Guyanese dishes, I feel extra excited to share the recipe with you all! This recipe is now approved by my parents, grandparents & fiancé, phew! Enjoy! Cut the lamb meat into smaller bite-sized pieces. In a large pot, bring the vegetable oil to medium heat. Add the onion & let it cook until opaque. Add the garlic & ginger, sauté for about 3-4 minutes. 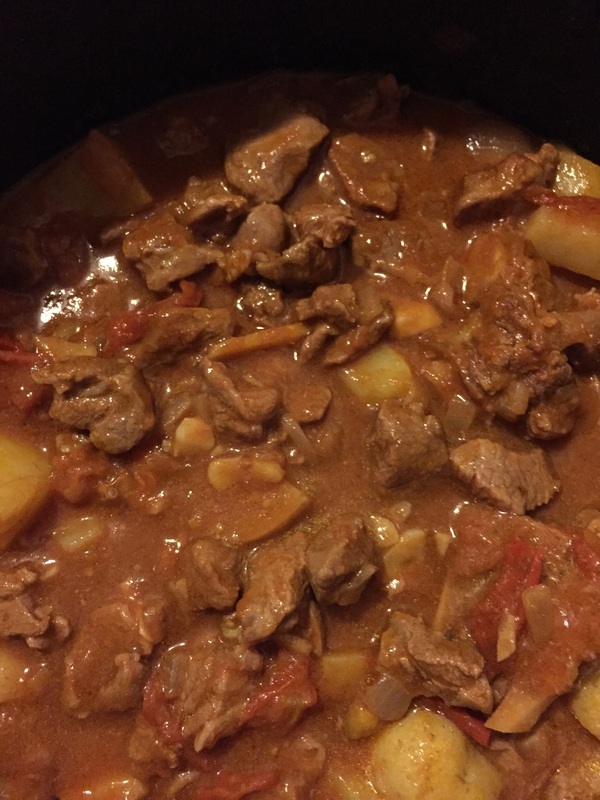 Put the lamb meat into the pot with the potato pieces. Add the tomato paste, stir to coat the lamb & potatoes with the paste. Pour in the water, salt, & plum tomatoes. Bring a water to a boil, add the hot peppers, then lower to a simmer & cover the pot. You'll want to stir the stew every so often to make sure the tomatoes are melting down & the potatoes are cooked through. If you see the stew drying down, add some more water & salt. I always put 2 cups initially & that seems fine for this amount of meat. When the potatoes are cooked, uncover the pot & raise the heat to medium. You want the liquid to reduce to about half, so you have a nice gravy. Taste for salt at this time too. Serve with white or brown rice, or roti!